Finlandia University is a wonderful place to continue your education, especially if you like the individualized attention that can only be provided on a small campus like ours. We take advantage of our small class sizes to offer incredible opportunities to our students. That includes great degrees in a surprisingly wide variety of disciplines (health sciences, fine art and design, business, liberal arts and more! ), some of the most beautiful surroundings in the world in Michigan’s Keweenaw Peninsula, NCAA Division III athletics and much, much more. All of that, plus a $10,000 scholarship for all transfer students! At Finlandia we pride ourselves in providing an experience you won’t find anywhere else. Our average class size during the 2017-18 academic year was 11 students, which allows for a more personalized educational experience, ensures no one gets left behind, and aids in the personal growth we see year after year in our students. We pride ourselves in providing a whole-person educational experience. It’s not just in our classrooms either, most students at FinnU get to know the staff, enjoy pizza with the President and because of our focus on service, they get to know the Copper Country community. Bottom line: At Finlandia you’ll be more than a number, you’ll be a valuable member of our tight-knit campus community. Finlandia University has dozens of great degree options that will fit your interests, skills and personality. We have a page that showcases all of our academic programs, but what we’d highly suggest is reaching out to one of our admissions officers. They’ve met with representatives and faculty from each of our academic programs, and they can help you find your perfect fit. Plus, they’ll tell you all about our incredibly study abroad opportunities. 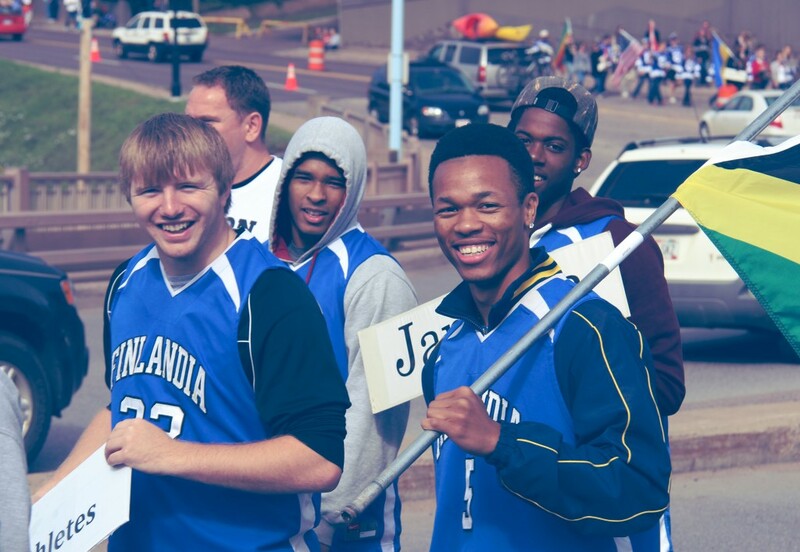 Our goal is to make Finlandia University the friendliest school for transfer students. How are we looking to achieve that? Our application is free, online and simple. Our acceptance policy is straight forward and quickly enacted upon. Our gracious policy of accepting credits means the work you’ve done will be counted. In today’s world we know students and families expect things to happen quickly, and we’ve modernized our process to do exactly that. Priority registration for transfers means that you can become an enrolled student prior to new freshmen, and therefor will have greater flexibility in scheduling classes. This will make your life easier, allow you to plan more in advance, and ensure that you’re given every opportunity to succeed. Transfer students come with certain benefits to our school: They’re usually extremely academically prepared, they’re motivated to make things happen, and they graduate at higher rates. Because of that we’ve worked hard to remove as many barriers as we possibly can, and one of those is a $10,000 scholarship that the vast majority of our transfer students will be eligible for. Finlandia University is now offering the $10,000 Finnish Strong Transfer Scholarship to incoming transfer students. This is part of an institutional mission to become the most transfer-friendly institution in the Midwest. Below are a set of frequently asked questions regarding this tuition initiative. What is the $10,000 Finnish Strong Transfer Scholarship? All incoming full-time transfer students are eligible for a $10,000 scholarship to finish strong at the only institution in America founded on Finnish ideals. Students must take at least 12 credits to be eligible. An incoming student is eligible for the $10,000 scholarship by bringing in at least six transferrable college credits from another institution and at least a 2.0 Grade Point Average (GPA). What is considered a transferrable college credit? In the most basic terms — if a college credit can be used on your degree worksheet, it is counted as a transferable college credit. All credits need to come from an accredited university, junior college or community college, and have earned a letter grade of at least a C. This will include credits earned through dual enrollment programs, but does not include Advanced Placement (AP) or CLEP credits. See our transfer policy, under Transferring Courses from other Institutions, for more information. Part-time students are not eligible for the Finnish Strong Scholarship. A student is considered part time if they are taking less than 12 credits. I attended Finlandia in the past, am I eligible? Yes. That’s potentially even if you didn’t transfer to another institution. All Suomi College / Finlandia University alumni who have not attended another institution and left Suomi College / Finlandia prior to August 2014 are eligible for the $10,000 Finnish Strong Transfer Scholarship. Can I still receive federal or state financial aid? Yes. You will still be eligible for all federal and state financial aid opportunities. That includes the Michigan Tuition Grant, a state grant that more than 90 percent of Finlandia’s full-time students from Michigan utilized during the 2016-17 year. For the 2018-19 school year that grant totaled $2,400. Can I combine this with external scholarships? Yes. You can use any outside scholarships to help cover your tuition, fees, room and board, and any other college expenses. Can this be combined with other institutional aid opportunities? This can be combined with competitive scholarships such as the Brule or Jokela Scholarship, but students who earn the $10,000 Finnish Strong Transfer Scholarship are not eligible for any institutional aid opportunities at FinnU. Institutional aid opportunities include, but is not limited to, Board of Trustees Scholarship, President Scholarship, Dean Scholarship, Faculty Scholarship, U.P. Commitment Grant, Service Scholarship, Ambassador Scholarship, Family Scholarship, Church-Matching Scholarship and Legacy Scholarship. See a full list of scholarship opportunities at finlandia.edu/scholarships. Can I combine this with Finlandia Four? No. Students using the $10,000 Finnish Strong Transfer Scholarship are not able to take advantage of Finlandia Four. Can I combine this with Finlandia Future? No. This program has been discontinued, but some returning students are still eligible. Students cannot utilize the $10,000 Transfer Scholarship and Finlandia Future at the same time. International students are eligible for this scholarship by bringing in at least six transferrable college credits from another North American institution. Submit All Information: This will likely include official college and high school transcript(s), but it will depend on your exact situation. Financial Aid: We suggest all students complete the FAFSA and work with our Financial Aid office to get a full understanding of their expected expenses and opportunities. Deposit: Pay a $200 non-refundable security deposit. Registration: Our admissions office will help you get registered for the next semester. Housing: Our admissions office will help you find a place at Finlandia Hall or off campus. Student Accounts: You’ve been accepted. You’re registered. You know where you’re living. Now it’s time to start packing your bags, buying your books and pay your first semester’s tuition bill. Our Student Accounts office will help you with this. Applications for admission to Finlandia University are accepted at any time and acceptance decisions are made on a rolling basis. Learn more about our deadlines, and get started on your application TODAY! Finlandia University is accredited with the Higher Learning Commission (HLC) and accepts credits from other accredited colleges and universities throughout the nation. Finlandia also accepts credits from options such as College in the Schools (CIS), Dual Enrollment courses, Early College programs, Postsecondary Education Options (PSEO), Advanced Placement (AP), International Baccalaureate (IB), and College-Level Examination Program (CLEP). Transfer credit is granted for applicable courses with a grade of C or better to Finlandia’s academic programs. The Michigan Transfer Network allows students, advisers and the general public to view transfer course equivalencies from Michigan colleges and universities. Visit this site to view transfer equivalencies for Finlandia University. Transfer credits for out-of-state colleges and universities will be evaluated by the Registrar’s Office when we receive your official transcripts. 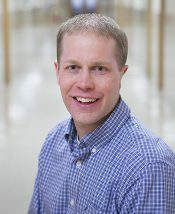 For specific questions about transferring credits and academic requirements contact Finlandia’s transfer coordinator, Craig Kangas. In 2012, the Michigan legislature included language in the community college appropriations bill that focused on improving the transferability of core college courses proposing and instituting the Michigan Transfer Agreement. In order to fulfill the Michigan Transfer Agreement (MTA), students must successfully complete at least 30 credits, with at least a 2.0-grade point average in each course. Below you’ll find additional details about the MTA. The additional natural science course for the MTA will transfer in as a degree requirement or elective. *Finlandia requires ENG 103 – College English I and ENG 104 – College English II as part of the Core Curriculum. This plan assumes the initial MTA English Composition satisfies our ENG 103. **Finlandia requires COM 108 – Public Speaking as a Core Curriculum requirement. If the student takes a COM class as part of the MTA that is NOT Public Speaking, the COM class can count as the third Social Science requirement for our Core Curriculum. The transcript received must be stamped with the MTA notification from the sending institution. The student will still be responsible for completing all degree requirements for the program of study at Finlandia University. The student may choose to complete the additional Core Curriculum requirements noted above at the sending institution and transfer them in to Finlandia. Overall, a bachelor-degree seeking student must complete at least 30 credits at 300-level or higher at Finlandia. In addition, 24 of the last 30 credits taken must be completed through Finlandia. Some degree program requirements at Finlandia may have a minimum grade requirement that is higher than a “C” letter grade. Courses that qualify as Humanities courses at Finlandia for the Core Curriculum include courses in ARD (Art & Design), DRM (Drama), ENG (English – with the exception of ENG 101), FNS (Finnish/Nordic Studies), HIS (History), HUM (Humanities), MUS (Music), PHL (Philosophy), REL (Religion), or a foreign language. Courses that qualify as Social Science courses at Finlandia for the Core Curriculum include courses in ANT (Anthropology), COM (Communication), ECN (Economics), ENV (Environment), GEO (Geography), GSS (Gender & Sexuality Studies), PLS (Political Science), PSY (Psychology), and SOC (Sociology). Finlandia prides itself in making a private education in northern Michigan as accessible as possible, and part of that is helping our students find incredible scholarship and grant opportunities. Our Financial Aid office will work hand-in-hand with every student to make sure every potential financial aid possibility is examined for each student. That could mean federal funding, work study aid, grants from the state of Michigan or applying for competitive scholarships. Learn more by visiting the Financial Aid section of the website, and while they’re be sure to reach out to them and say hi!